Timberland PRO Men's Pit Boss 6-Inch Steel Toe Work Boots have many features made to reduce foot fatigue commonly experienced by hard workers like you. These Pit Boss boots were made using the Timberland Pro 24/7 Comfort Suspension System. This system meets work si ... (see full details) (see specifications) #TMBTB033032001. Timberland PRO Men's Pit Boss 6-Inch Steel Toe Work Boots have many features made to reduce foot fatigue commonly experienced by hard workers like you. These Pit Boss boots were made using the Timberland Pro 24/7 Comfort Suspension System. This system meets work site demands and keeps your feet comfortable throughout the day. The comfort insoles of these EH boots support your arches and help decrease fatigue. The contoured shock-diffusion supports your feet and provides impact reduction. The midsoles and outsoles are designed for both support and flexibility, providing superior comfort for your busy feet. 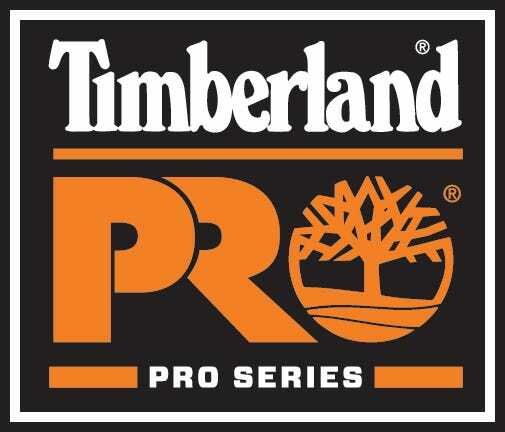 Beyond comfort, the Timberland Pro boots are loaded with superior safety features. They are tested against open circuits and built to defend against currents up to 600 volts making these steel toe boots ANSI certified electrical hazard rated footwear. The steel toes are nationally rated and will protect you from 25,000 pounds of compression and impact from falling objects up to 50 pounds being dropped from a height of 18 inches. The soles of these safety toe boots are oil- and slip-resistant allowing you to go anywhere and do anything. Goodyear welt construction also makes these soles repairable, extending the life of the product. It is also the most sturdy type of construction, and improves your lateral stability because it is wider than your soles. These black boots also have Cambrelle lining with Agion antimicrobial treatment. Agion antimicrobial treatment controls odors that can result from a long day at work. Proven comfort and numerous safety features make these an excellent investment. Wear these Timberland PRO Pit Boss 33032 6-Inch Men's Work Boots on the job site and feel the difference. Treat your feet right and lace up a pair today. These 33032 Timberland work boot has so many safety features and provides so much comfort. This is by far the best pair of boots I have worn and the look great. I have had these boots for over a year now and they are still in really good shape. I have had this pair of boots for 2+ years now. I LOVE them. The only thing I have had to do is add cushions to them every few months after the first year or so. I work in a very caustic environment, wastewater treatment, and the only sign of wear is the grey color they now have and the sole is starting to seperate. Not too bad for years of abuse. Need a new pair soon, and will be back here to get one. 25 out of 29 people found this product review helpful. The Timberland 33032 work boot are a great value as well as very durable. And the heel doesn't wear out to fast. Timberland PRO Boots: Men's Pit Boss Black 33032 EH Steel Toe Work Boots is being added to your cart.